This was a great event in 2011, well organised, nice challenging route (if a little too much road, but that can't be helped) and flapjacks at the half way point. 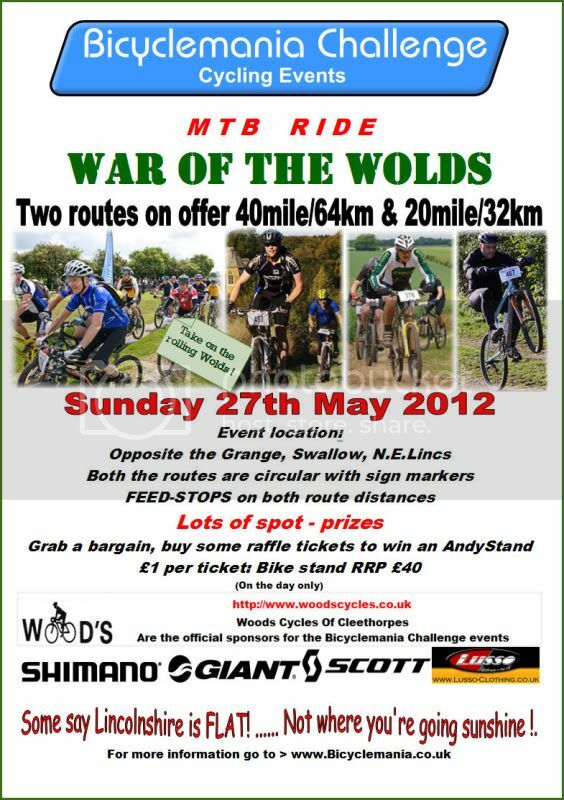 20 or 40 mile routes to challenge all. I plan on doing the 20 again and seeing how much I can beat last years time by. If entering add Retrobike into the team section. Maybe a few of the north bank lot fancy popping down for the day? Bump to add more info. I'm interested. Only 5 mins from my house. Anyone else up for this?? Have a good one though chaps. There is also the Viking challenge in October. I've not done it myself, but itt's apparently very well organised.